Piilo is a stool - or a small table - which hides a storage space inside its seat, making it suitable for different spaces and needs. It can be a spare stool in the kitchen, an entrance hall seat or a bedside table, simultaneously storing and hiding small objects inside it. 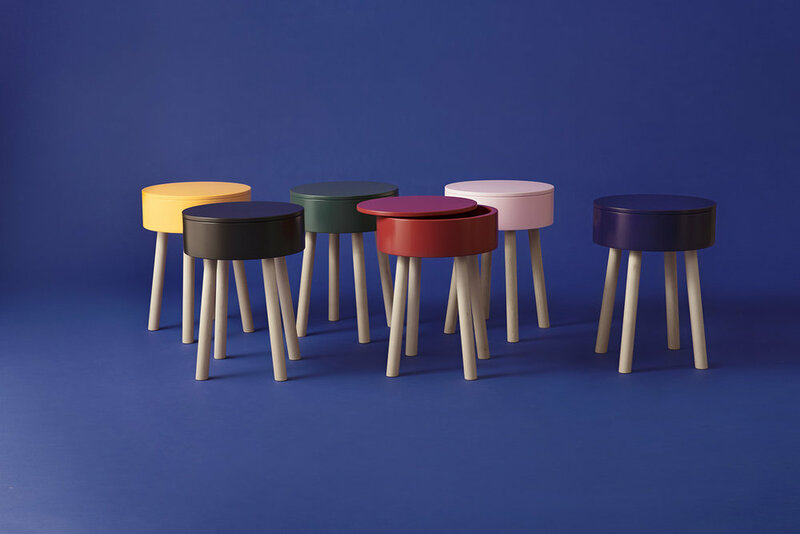 Light birch combined with bold colours and a simple form gives the stool its identity. Piilo is one of the selected Habitare's Protoshop 2018 products. 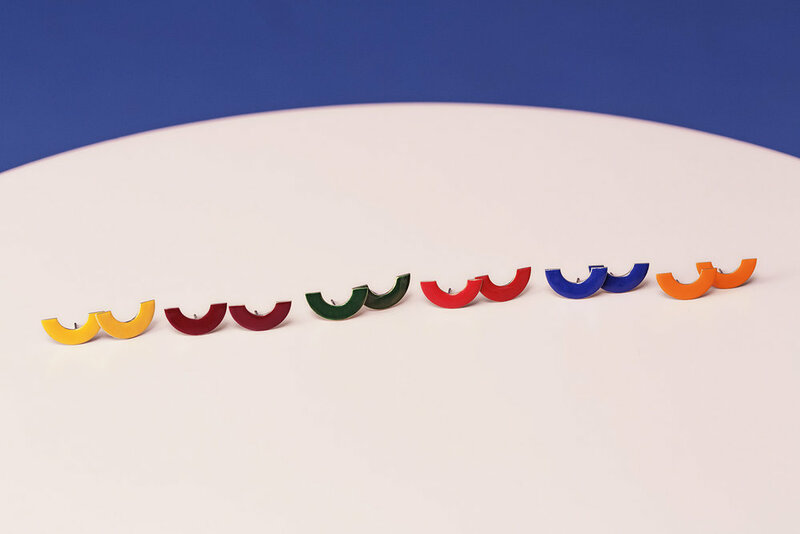 Piilo is manufactured in Sipoo, Finland and it is available in six different colors. HYMY NECKLACE - Silver with enamel coating, handmade. 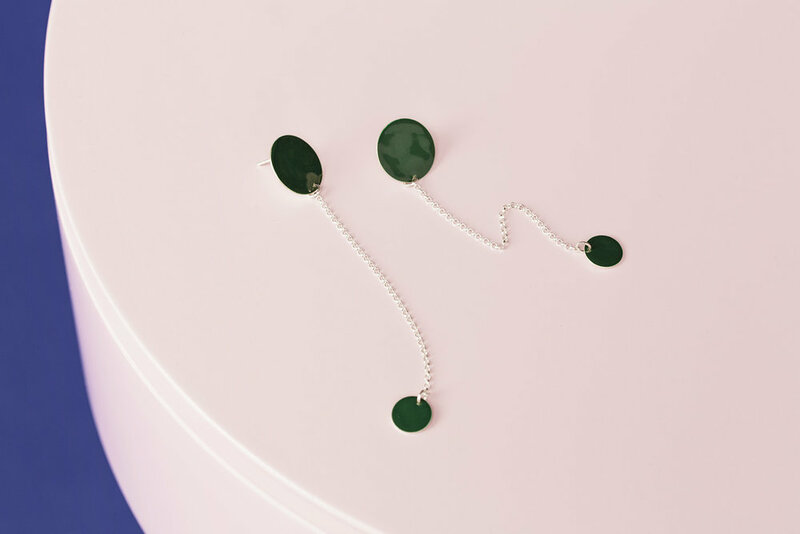 HYMY EARRINGS - Silver with enamel coating, handmade. 1/2 - Two in one earrings, silver with enamel, handmade. Ilta Earrings - silver with enamel, handmade.